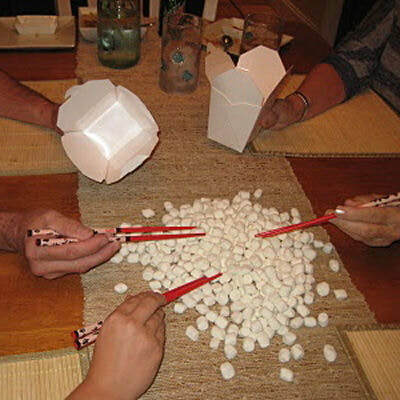 We bring the chopsticks, mini-marshmallows, the plastic cups and loads of fun! Our party host will play a series of games while making your home into the ulitmate game show! We bring all the supplies with us for this extraordinary time! $225 for 90 minutes of fun. Includes one party host, all the supplies, and up to 8 children.